A Pebble smartwatch with a colour display was posted to the Pebble website late last night, indicating that the company is preparing to release a new updated version of its wearable. The image has since been taken down and replaced by a picture of an actual pebble, but that should change later today when the company is ready to make its announcement. 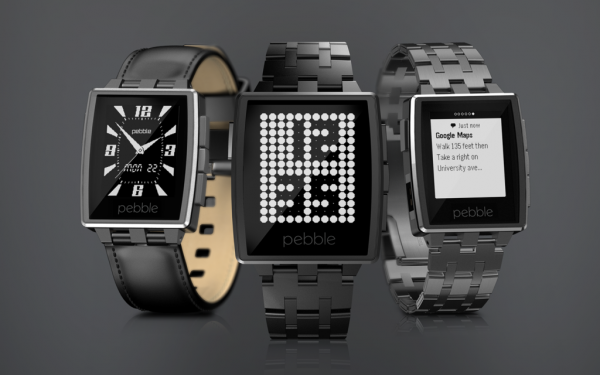 9to5Mac had originally leaked a possible Pebble with colour display. Saying that the new smartwatch would also be wider, with a smaller bezel; it would also be thinner than the current generation of Pebble smartwatches. The battery life would be similar to its predecessor, despite running on a colour capable “e-ink-like” display. Unsurprisingly, it will not feature a touchscreen. It will, however, feature a microphone to allow for dictation and voice commands. This would be a huge step for the smartwatch that has been extremely simple in comparison to all the other wearables in the market. It would also allow it to be more closely integrated with Android Wear, as the Pebble can already receive notifications from Google’s system. 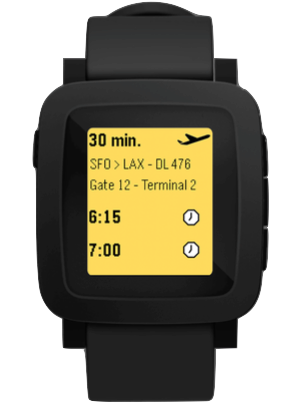 Pebble will be making an announcement later today, and it is likely that this particular device will be the featured. There is a countdown clock on the official website, and there is not much time left on it.